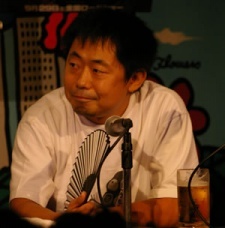 Born in Hokkaido, Masahiro Ando has played a key role in the creation of many popular animation features and TV series. He has also been involved in production, mainly with BONES. Mr. Ando is most well known for his involvement with such features as COWBOY BEBOP: KNOCKIN’ ON HEAVEN’S DOOR, JIN-ROH, METROPOLIS and GHOST IN THE SHELL. He has also worked on the storyboard and production of FULLMETAL ALCHEMIST (TV/Film)”.